Polaris has announced a low emission electric powered Neighborhood Vehicle, the Polaris Breeze, the first product of its new On-Road Vehicle Division. 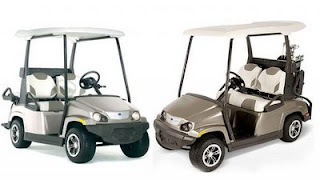 The Breeze is designed for multiple consumer uses such as golfing, comfortably transporting up to four passengers, or easily carrying light cargo loads. The vehicle is targeted towards master planned communities, and will be available in limited quantities in September 2009.